The Converse Blog: Converse NBA Player Exclusives for Elton Brand and Kirk Hinrich. Converse NBA Player Exclusives for Elton Brand and Kirk Hinrich. Early in the year I made mention that I thought Alando Tucker and Kyle Korver would be battling for the best colorways of Converse this year. I might have to eat some crow on that statement. 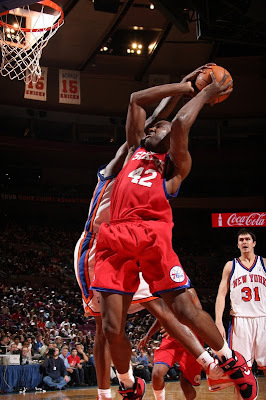 Recently Elton Brand and Kirk Hinrich took to the floor wearing some fantastic PE's. 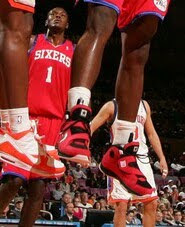 EB rocked the Red/Black/White EB2, the closest you'll get to these is in NBA Live 10. 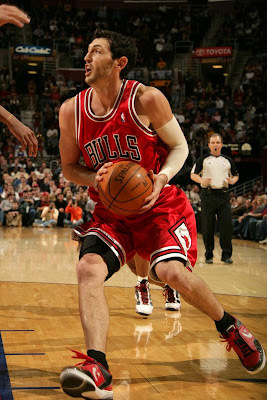 Krik Hinrich has been wearing the Low top version of the Weapon EVO since last years playoffs, however we haven't seen the Red/Black/White colorway that he wore against Miami the other day. Don't get your hopes up for this particular colorway of EVO low, just hope that Kirk wears them more often. All of these pictures came from Yahoo Sports and therefore Getty images. Send me an email at ConverseNCAA@hotmail.com, I might be able to be a little for more forthcoming. will converse ever sell the evo low? I want the Converse Weapon EVO low. I already have two versions of the Hi tops.